On Friday, company member Martina joined Dance UK and the National Institute for Dance Medicine and Science for the Healthier Dancer Programme Conference which focused on strength and conditioning in dance. In this blog Martina tells us about her day, and the importance of implementing dance training with strength and conditioning sessions for peak performance. “The conference was a great opportunity to meet lots of dancers, teachers, physiotherapists and practitioners united by the same goal: to make dance training more effective. As a full time company member with Motionhouse I have first hand experience of the pressure of performing well and being on top form throughout the season while having to deal with injuries and strains during a busy touring schedule. Especially when working for a very physical company like Motionhouse it is hugely important for the dancers to be strong enough to be able to deliver the material on stage while dealing with intricate partnering sequences. The more we are able to prepare for the physical demands of the piece, the more we can focus on other aspects of the performance with a fresh mind and potentially reduce the risk of accidents and injuries during our shows. 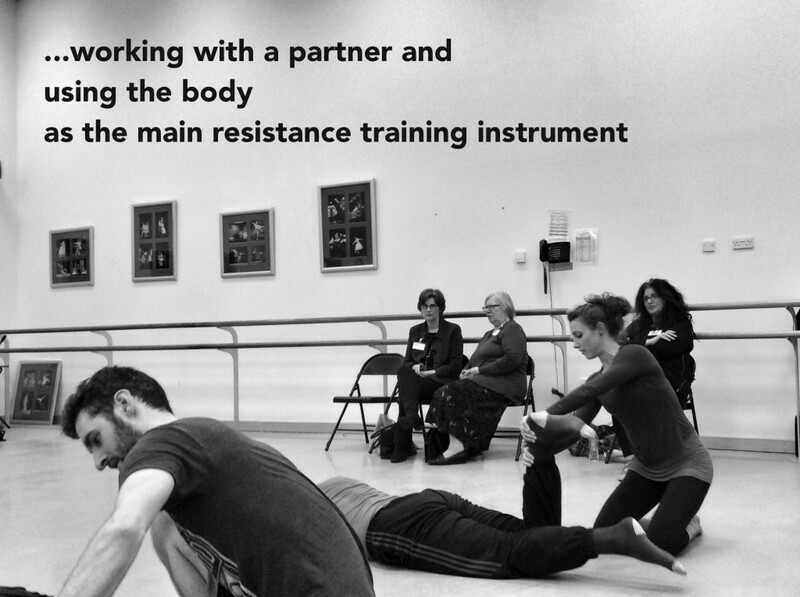 Organised by Dance UK, the conference was a response to recent calls from dancers, directors and choreographers to revolutionise training to improve dancer’s fitness and fiscal capacity. This is something the whole company here at Motionhouse is invested in so it was great that I was able to attend and feed back to the team. Improving dancers’ fitness and strength and the impact this has on performance is something that dance scientists have been studying and advocating for some time. Dance has learned a lot in recent years from the successful use of supplementary training in elite and Olympic level sport. A growing body of dance specific research is now beginning to bear out the idea that fitter dancers are able to perform better and may be better protected from injury. The whole day was packed with lectures and practical sessions led by physiotherapists, dance scientists and coaches. It aimed to put some of the theory behind performance enhancement into practice. 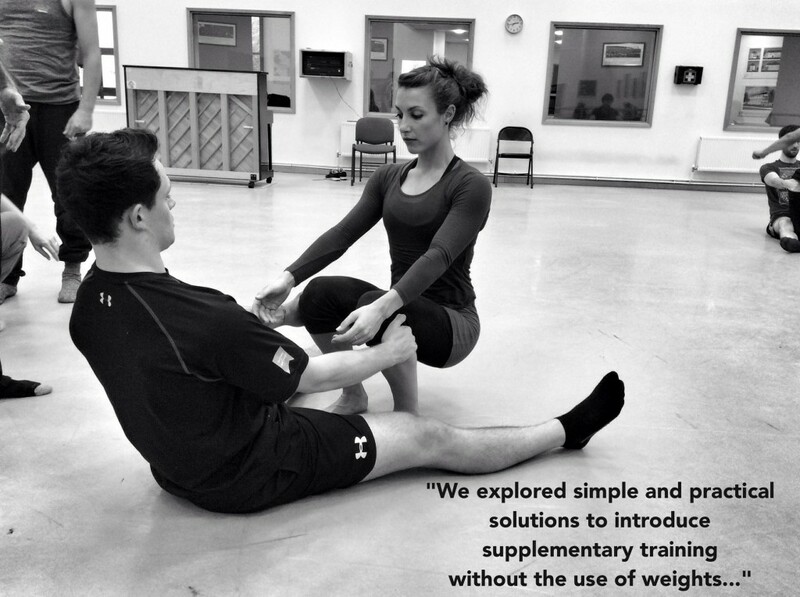 One session in particular explored simple and practical ways to introduce supplementary training outside the gym and without equipment, using the body as the main resistance training instrument either with the use of bodyweight exercises or with the use of a partner. Another session focused on injury and rehabilitation and looked at why dancers are injured and what we can actively do to reduce the risks factors. Two main areas were highlighted to reduce dancers’ injury rates: preparation and recovery. Dancers are injured when the load placed through their body exceeds the capacity to tolerate it. Therefore increasing fitness levels means increasing their tolerance to load, delaying the onset of fatigue and potentially dramatically reduce the risk of injury. 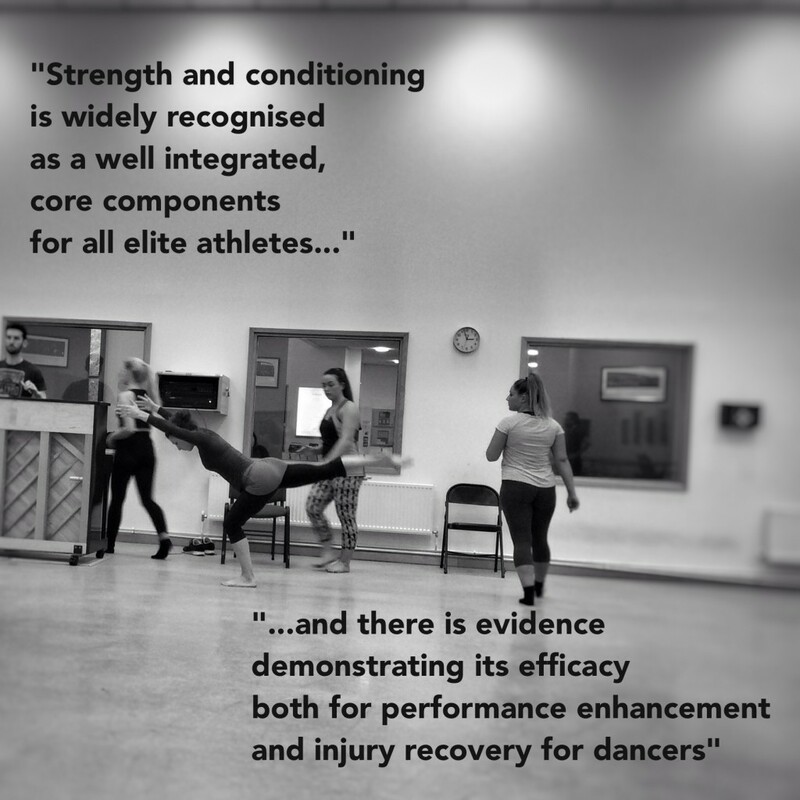 Assessing how strong a dancer is should be the first step to improve their capability to get better, stronger and more resilient to the stresses the profession places on their body. Preparing a strength and conditioning plan that can be fitted into an already busy schedule seems to be the hurdle dancers and companies are faced with when trying to improve their training regimes. A strong reminder from the world of sport was the importance of allowing and planning for optimal recovery times. It has been scientifically demonstrated that without recovery there is no improvement and a higher risk of over-training and injury. 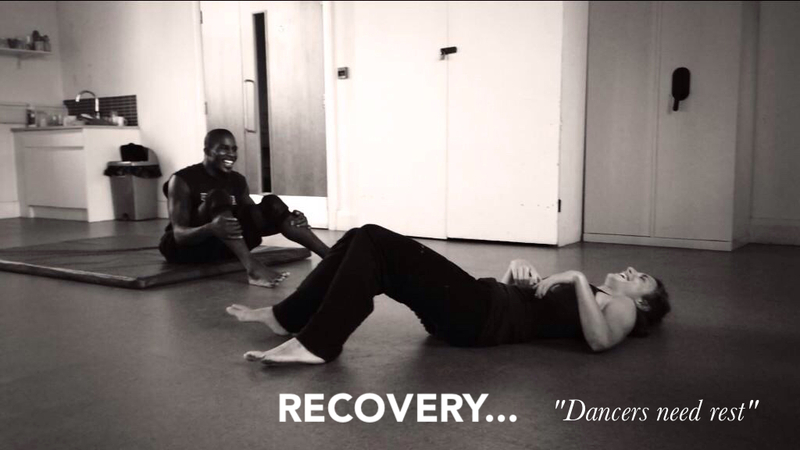 This is a lesson the dance world seems to be finding hard to absorb and there is a lot more work to be done on potentially trying to shorten the working day and make more space for recovery time and supplemental training. Beside this conference Dance UK offers a various number of practical tool for companies to improve the wellbeing and performance of their dancers. One of these is the Performance Optimisation Package that includes screening assessments, individual support for injury prevention and a cash plan for injury intervention if needed.